Silicon Graphics International has acquired storage company, Filetek, as the server maker looks to provide customers with better control over petabytes of stored data in high-performance computing environments. SGI did not disclose the amount it paid for Filetek. The deal closed Tuesday. SGI is best known for high-performance computing systems, and Filetek's software offerings will help better analyze, manage and provision storage resources depending on application needs, said Bruce Elder, general manager of storage at SGI. 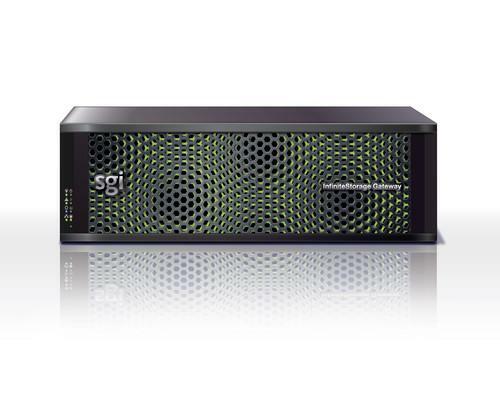 SGI has been in the storage business for 20 years and offers the InfiniteStorage Gateway systems for HPC environments. Filetek's offerings will work with those systems to manage large pools of data in primary and long-term storage. One of Filetek's products is TrustedEdge, which Elder called an "intelligent analytics tool" that scans arrays of primary storage and determines what data could be moved to long-term storage, which is also called cold storage. Another Filetek offering includes Storehouse, which manages structured and unstructured data in primary, cold and cloud storage. All of Filetek's employees and research and development resources will be merged into SGI's newly formed storage division. SGI will keep Filetek operations running out of Rockville, Maryland, and also retain its international offices. Current Filetek customers will continue to receive support from SGI. Management of storage resources is gaining more importance as servers handle larger volumes of data and high-performance storage like solid-state drives becomes an alternative to volatile memory. Technologies such as virtualization and analytics are also becoming important tools in managing data movement and provisioning storage across arrays. Cisco earlier this month said it would acquire storage vendor Whiptail for US$415 million. Server makers IBM, Dell and Hewlett-Packard have also acquired storage companies in recent years. SGI's history can be traced back to Silicon Graphics Inc., a supercomputing pioneer that filed for bankruptcy in 2009 and was ultimately bought by Rackable Systems for $25 million. The combined company was then renamed Silicon Graphics International.